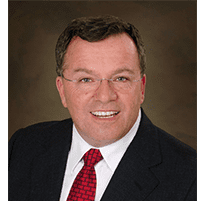 Dr. John Grammer is a Board Certified physician in Obstetrics and Gynecology, and has been serving patients at The Women’s Group in Pensacola, Florida since 2001. Dr. Grammer has served our community on the board of the Healthy Start Coalition as vice president from 1997-1998 and president from 1999-2000. Dr. Grammer is a Clinical Assistant Professor in the Department of Clinical Sciences at the Florida State University College of Medicine. He is the recipient of the FSUCOM 2014 Part-time Clinical Faculty Teaching Award in Obstetrics & Gynecology at Sacred Heart Hospital - Pensacola and the 2008 Mission Model Award for the Pensacola Regional Campus. Dr. Grammer has additional training in surgical use of the laser and laparoscopic procedures, including the supercervical laparoscopic hysterectomy. He has extensive experience in the diagnosis and treatment of urinary incontinence, both medical and surgical. Basic infertility diagnosis and treatment is also available. Dr. Grammer also performs some surgeries using the daVinci Surgical System at Baptist, Sacred Heart and West Florida hospitals. Dr. Grammer was born in El Paso, Texas and has lived in numerous locations throughout the United States and abroad as the son of an Army officer. He is married to Terrie and has three children. He enjoys music, hunting, deep sea fishing, salt water aquariums, gardening and spending time with his family. "Dr. Navarro is just amazingly nice!" "...All of my staff encounters there have been pleasant." "This was my second round seeing her. She delivered two of my five children." "Helpful, knowledgeable, not rushed, listened to me." "The staff is great, the office is nice and bright and Dr. Stuart...is the best!" "I feel he is the best; kindest, most supportive Dr I've ever had." "...He did an outstanding job, and my life has changed." "...I truly think he's awesome, & I'll be with him until he retires!" "I had no issues with rudeness-everyone was nice, quick and I was in and out in an hour." "I see Dr. John Granmer and that is why I'm giving 5 stars." "The staff is amazing and Dr. Grammer is by far the best doctor i ever had." "I will never forget the depth of their caring...after 20 years I have never had anything but respect and appreciation for their professionalism..."
"I have been amazed by my quick recovery time. After my surgery, even the nurses in the hospital were impressed by her. Her bedside manner is impeccable." "Every question I've had, they've always been too happy to answer without making me feel like it was a stupid question. I have not a single complaint about this place." "Everyone there creates a very comforting environment, each visit has been smooth sailing... Thanks for all you guys do!" "Dr. Grammer has been my obgyn for 15 years now and I love him and nurse Terry. Great bed side manner." "Dr Grammer is my OB doctor and I wouldn't go to anyone else! He is very knowledgeable and nice!" "Awesome experience! Friendly front desk receptionist and great office setting. People there are just so nice, I thank God so much for this new OBG." "Love this doctor. She really made me feel comfortable. She was my doc when I had my son. The staff is great!" "Dr. Prafke is great...Dr. Prafke was very nice, thorough, and she didn't make me feel uncomfortable."